^^^ this was one of about 12 different attempts to get this picture. and even then it’s a bit of a struggle. in celebration of his royal highness george prince of cambridge (insert fangirl squeal), momma, sister and i drove for 40 minutes to get cupcakes at sprinkles. completely reasonable right? but let me tell you, it was completely and totally worth it. 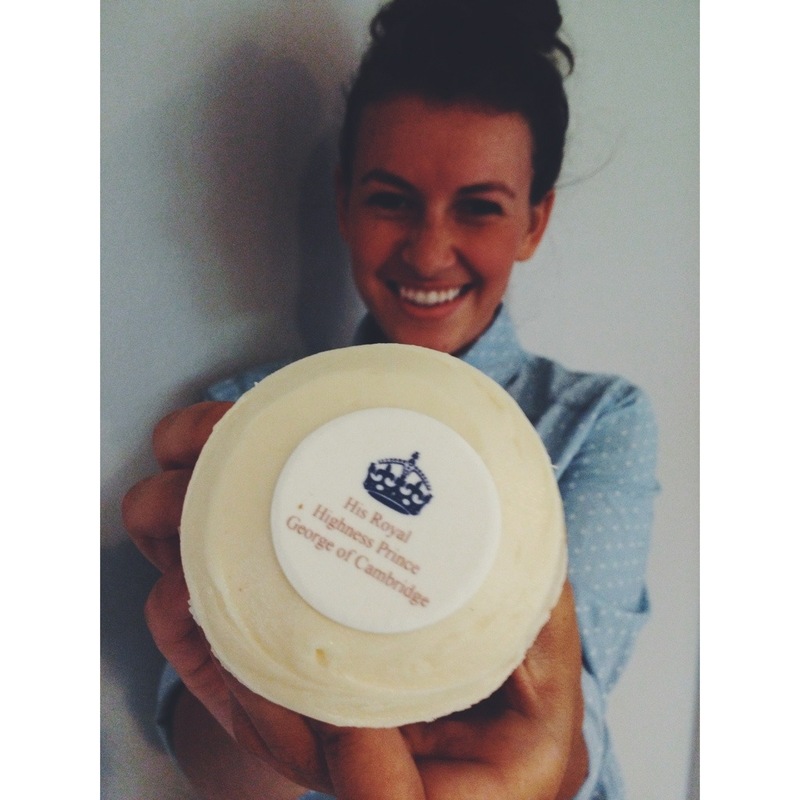 cupcakes and royal baby-ness. what more could a girl want? ^^^ love this girl and so glad to have her home from peru. such a babe. 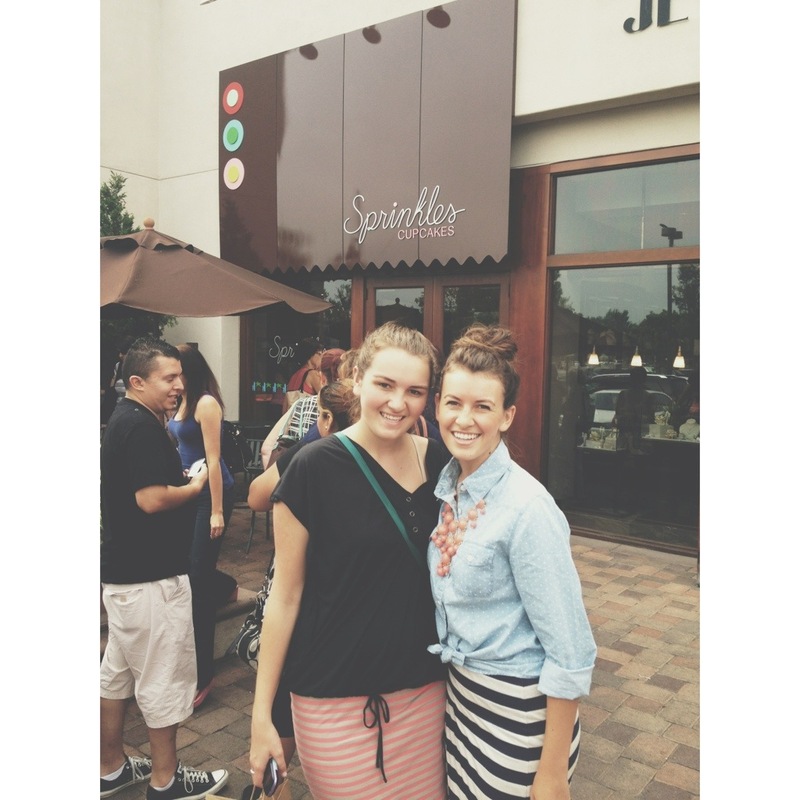 i’ve heard nothing but good things about sprinkles cupcakes, but this was my first time experiencing them for myself. i tried a total of not one, not two, but three cupcakes. an excellent example of my lack of self control when it comes to sweet treats. i loved all of them, especially the salted caramel. try the salted caramel. really. but a word of advice, if you pull a megan and get three cupcakes, do not eat them all at once. you will regret it. 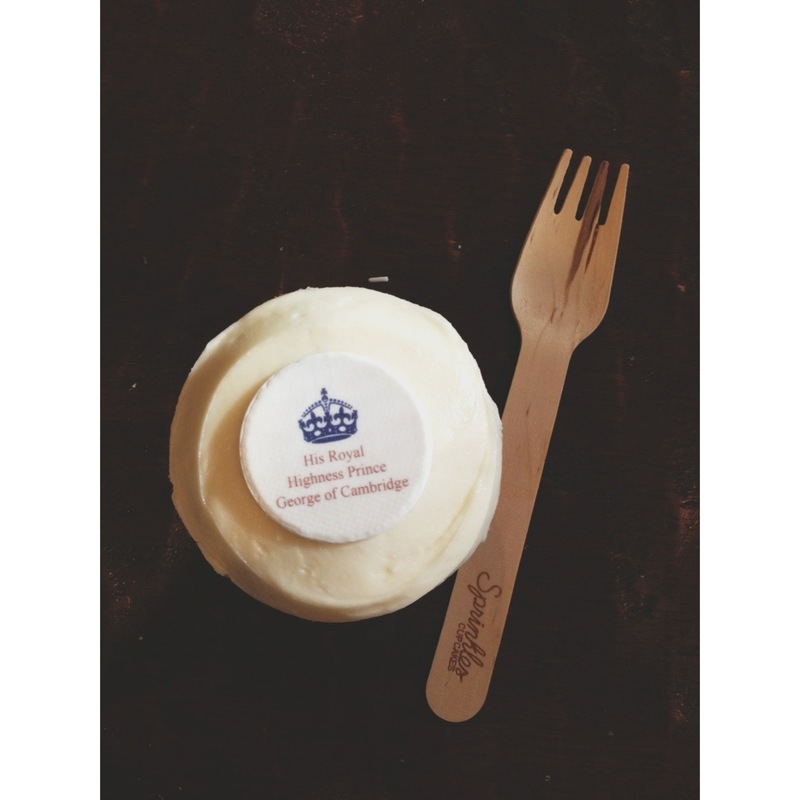 while i sat on my couch gorging myself on cupcakes, the royal baby could very well have been enjoying some milk in kensington palace. is anybody else giddy to the point of ridiculousness about this little boy? and the thought of will and kate as parents? it’s way too much fun. now all i need is for kate to start a blog about parenting the future king. you know you’d read it. i’ll admit my obsession with the royal family is reaching an unhealthy level. the other day i referred to queen elizabeth as “our queen.” at which point the friend i was out to dinner with looked at me like i was from a different planet. just further signs that i’m a brit at heart. welcome to the world baby george. if i have any say in it i’ll be the royal nanny soon and we can hang out every day. deal? 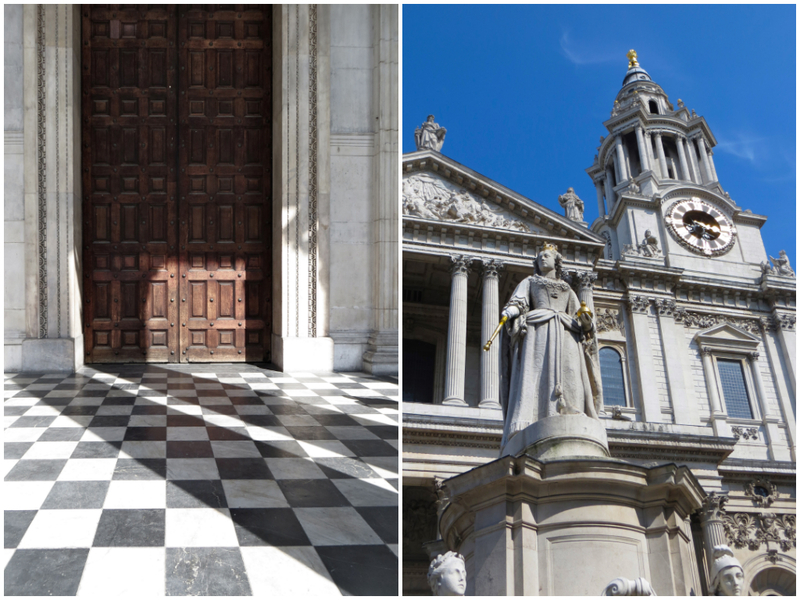 so i’ve been pretty absent on the blog lately…who knew trying to see everything in london would take up so much time right? and since i haven’t posted in forever i’m going to try to post about the big things i’ve done in no particular order. i figured since i’ve seen quite a few castles and palaces while i’ve been here i’ll start with a post about those. 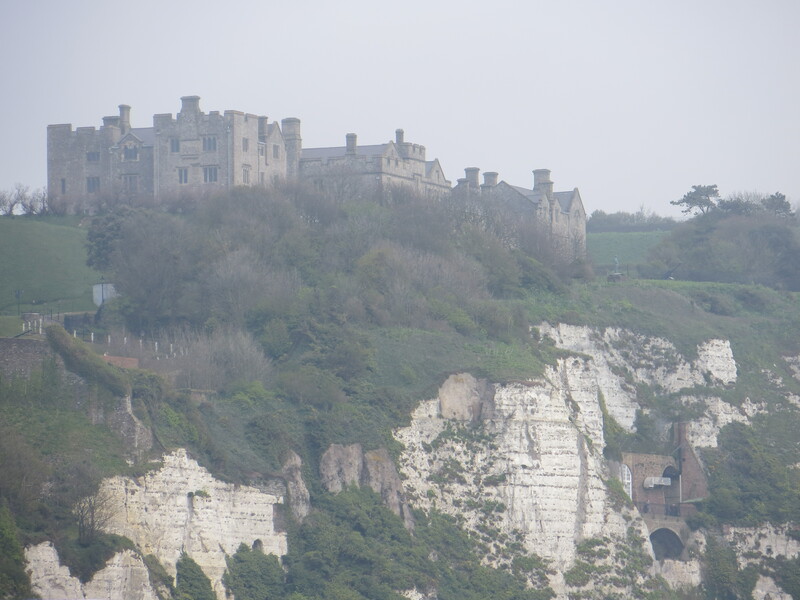 the famous white cliffs of dover + dover castle. ^^^ so insanely beautiful, despite the fact that it was ridiculously foggy/rainy that day. but hey, cold and cloudy is kind of my thing so i was loving it. this castle is ancient. there is a roman lighthouse (that looks more like a pile of stones than a lighthouse, but is still pretty cool) and secret WWII wartime tunnels. it was way interesting to learn about it. 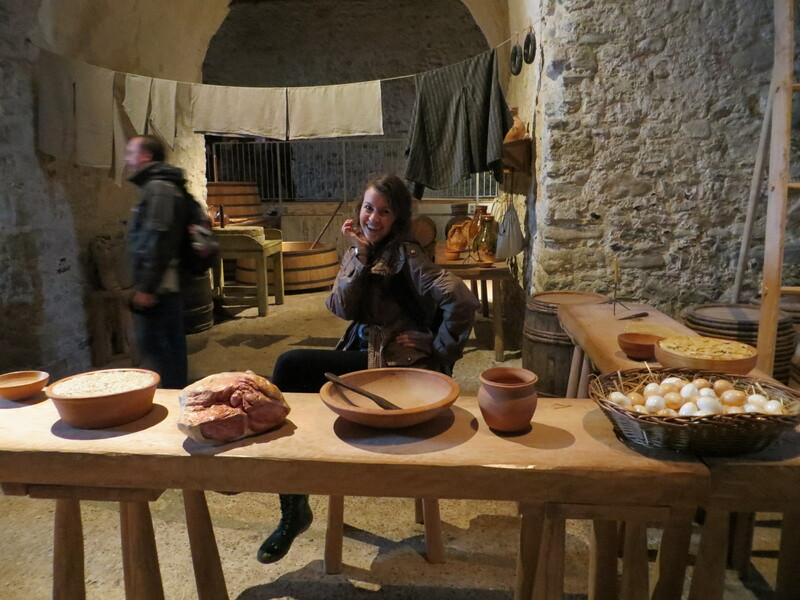 i’m not going to lie though, playing in the medieval kitchen was slightly more fun than the history bit. there may have been a short video created in this area. “medieval cooking with megan” is sure to be a hit on the food channel, i’m sure of it. there were a lot of “interactive” parts of the castle where i could pretend that i was medieval royalty. my kind of life, i’m telling you. disclaimer: i straightened my hair before this day trip. i walked out of the coach when we got there and this ^^^ happened. i told you it was wet that day. 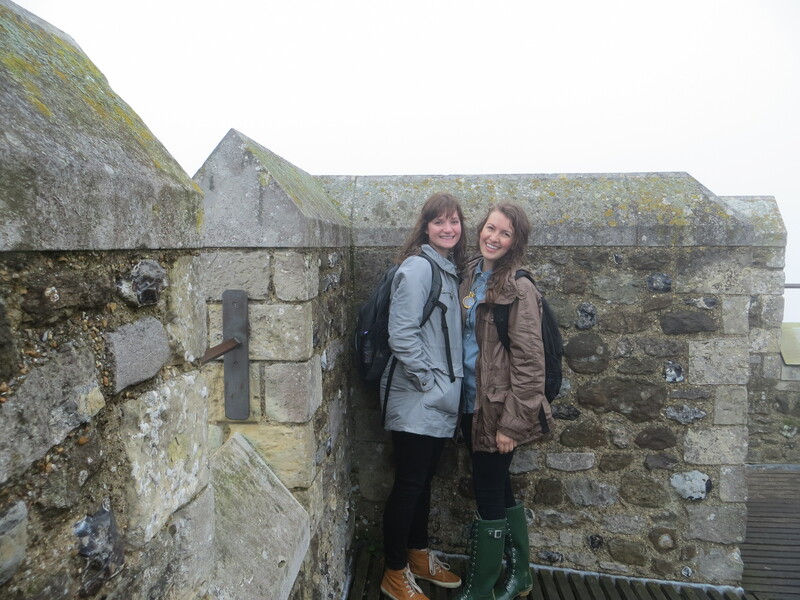 but aside from my crazy hair, visiting dover was unreal. it was our first trip out of the city so seeing the countryside and sprawling castle was a massive difference to the tightly packed buildings in london. it felt like a big family vacation…exploring the massive castle, taking lots of pictures, going to the “beach” (essentially a lot of pebbles next to the ocean. 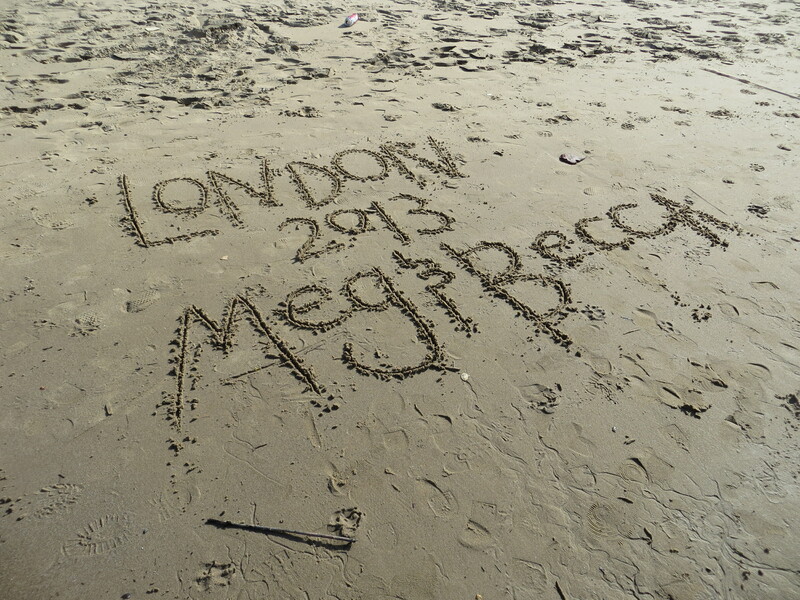 definitely beautiful, but didn’t feel much like a beach), and eating our packed lunches. a great introduction to the rest of our day trips. 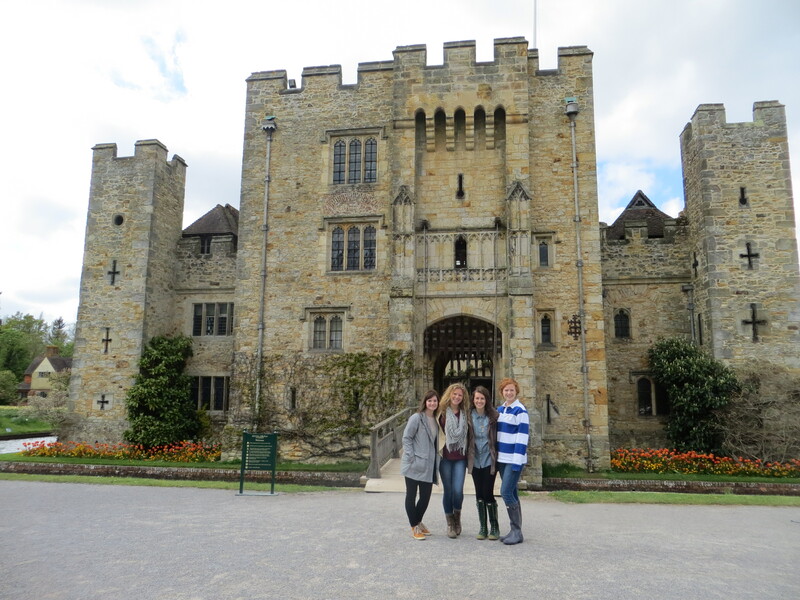 hever castle is one of my favorite places that i’ve seen since i’ve been here. kind of surprising considering i’d never heard of it before this trip. compared to other castles it’s small-ish (did i really just form that sentence? 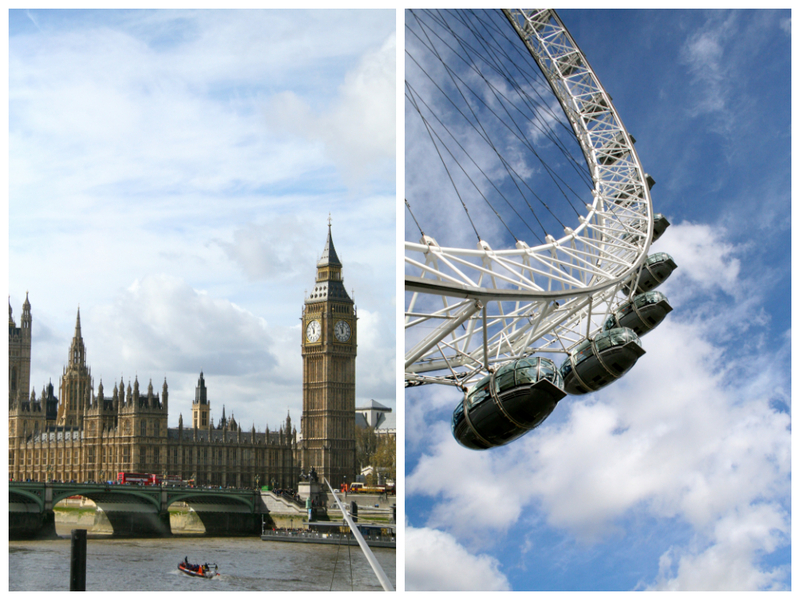 england is spoiling me), but i think that’s part of the reason i liked it. it felt manageable, like you could see the whole thing and really look at it rather than sprinting from room to room. it was anne boleyn’s (one of henry the vii’s many wives) childhood home. so we got to see where she slept as a child and all those sorts of things. there was also a hilarious(ly creepy) display of wax figures of all 6 of henry vii’s wives. the guy got around. 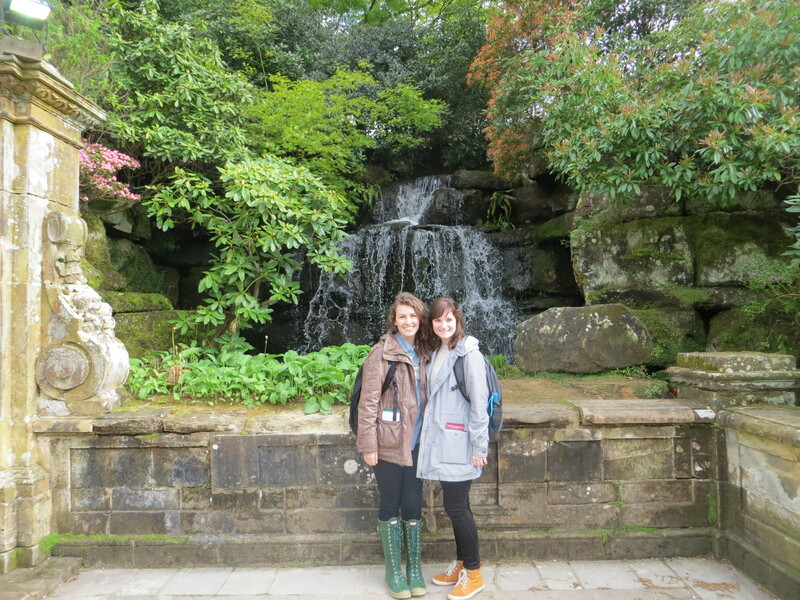 the grounds of hever castle were gorgeous, and we only saw a small portion of them. people wouldn’t mind flying to england so i could have my wedding reception here, right? 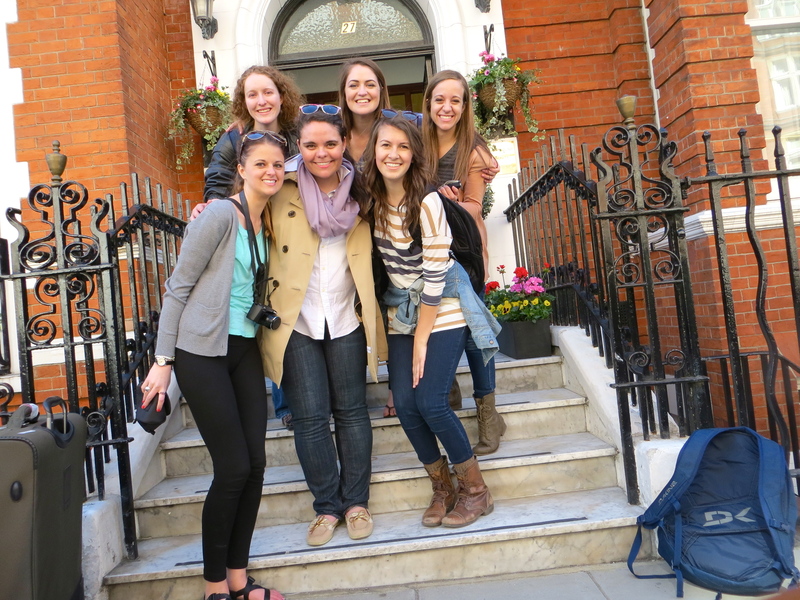 guess i better marry someone who can afford to fly me and my closest friends across the pond. but really, i definitely wouldn’t mind having this as a backyard. when i was in london last year with the momma we went to kensington palace, but how could i resist going again when it’s literally across the street from the center. 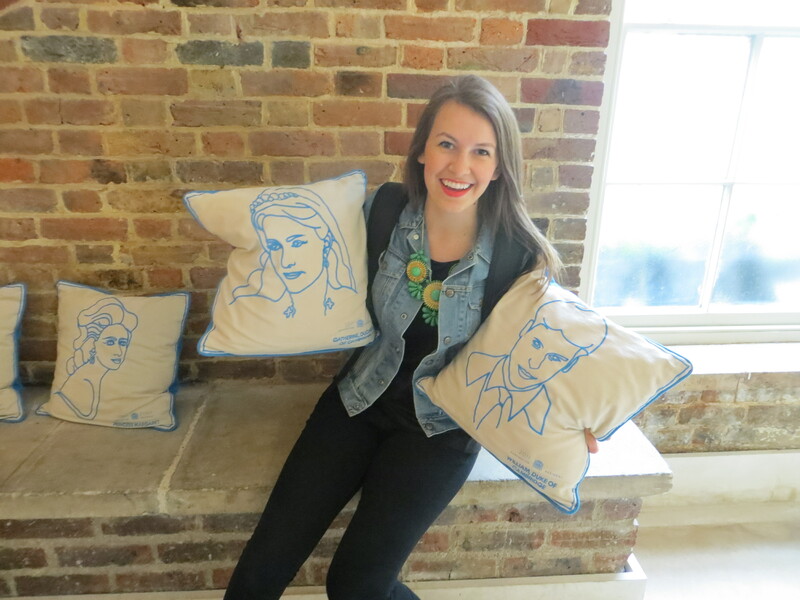 how cute are these will and kate pillows we found inside? ^^^ i want them for my apartment. really. we didn’t get a picture in front of the palace because we were pressed for time, but expect one later or google it if you can’t possibly wait. i love, love, love the way kensington is organized. there are three different segments to tour, all with a different theme and style. i think kassie girl’s favorite segment was the king’s apartments. it involves a “choose your own adventure” where you have to pick different reactions to scenarios in a booklet as you move from room to room. at the end you find out where you would’ve been in court had you made those decisions. kassie ended up as the king’s favorite, and i was the prime minister! i even got announced to a room full of people as “prime minister baker.” too funny, and slightly embarassing. there’s also a very whimsical and artistic section that tells the story of william and mary. the third section is all about victoria and albert which just melts my heart. (if you haven’t seen the young victoria go watch it this minute and you’ll understand why). 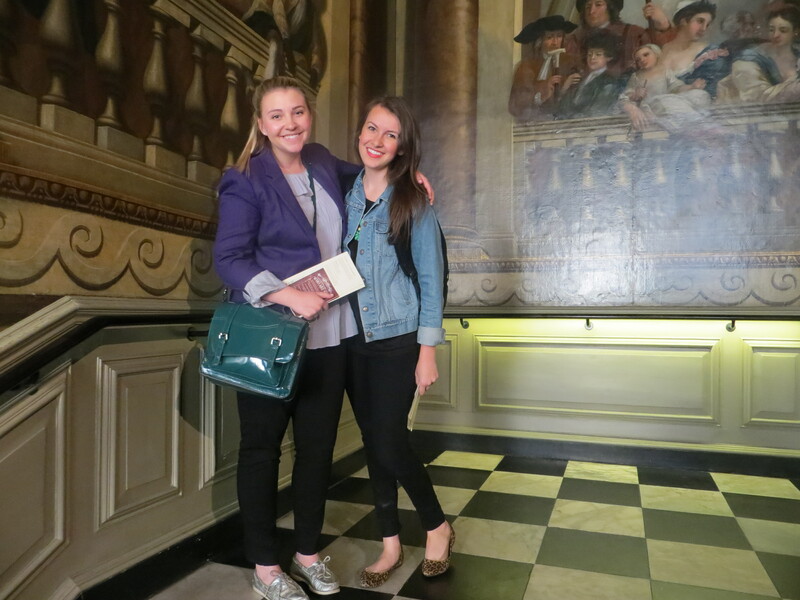 overall, kensington palace is so lighthearted and fun. if i didn’t have to pay to get in i think i’d spend every day in there. i’ll be able to do that after i marry prince harry though, so it’s really all right. 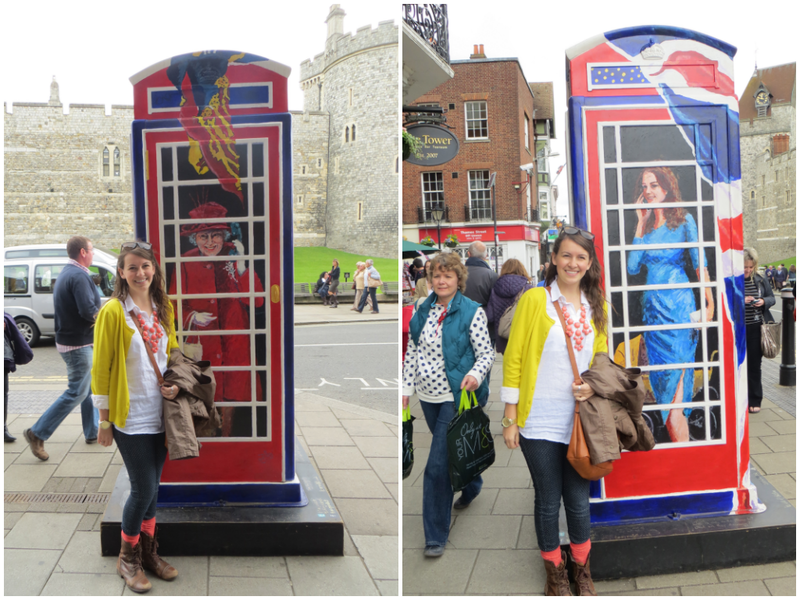 what’s a visit to windsor castle without running into the queen or kate? if only except if i actually met them i wouldn’t be composedly taking a picture, i promise you that. windsor is the queen’s weekend home so we were definitely looking for her around every corner, but no luck. out of all the castles and palaces we’ve gone to, windsor is the one that looks most like a typical “castle.” it’s the one you draw a picture of when you’re little with towers and a drawbridge and all. it was unbelievably massive too. i wouldn’t mind moving in. 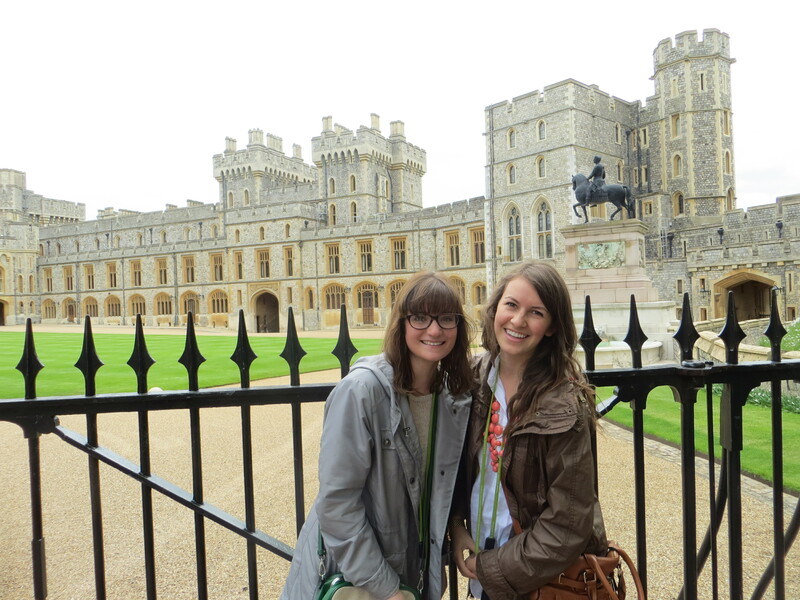 me and becca in front of the sovereign’s entrance to the castle. ^^^ still no sign of the queen though. one of the coolest parts was a giant dollhouse made for one of the queens that had working plumbing, silver plates, and miniature famous works of art by the actual artists. out of control cool. made me want to play with dolls again, or be a doll and live there. the town around the castle is adorable too. we spent the whole day in and around the castle and even then we didn’t get to see everything. after an endless amount of castles and palaces they never cease to amaze me. the amount of detail that has been put into creating these places is unreal. i could join the royal family just to live in them, and/or be friends with kate. both good options. i’m back in the centre after an exhausting, but absolutely amazing day in the city. we walked all over the place so my feet are already killing me. that doesn’t exactly bode well for the coming weeks, but it’s so worth it. 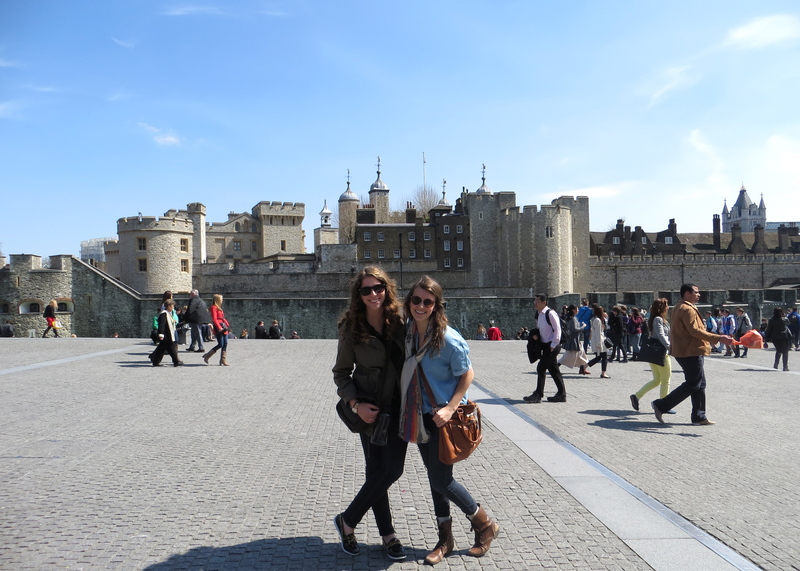 we started our walk at the tower of london (just the outside, i’m hitting up the inside later). from there we crossed tower bridge to get to the south bank of the thames. 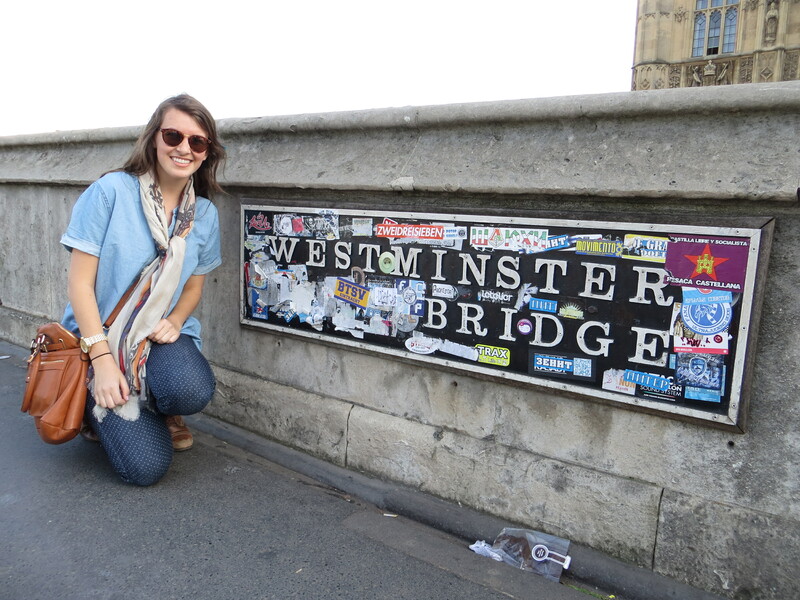 once we had crossed the bridge my walking buddy (becca) and i got real distracted real fast. 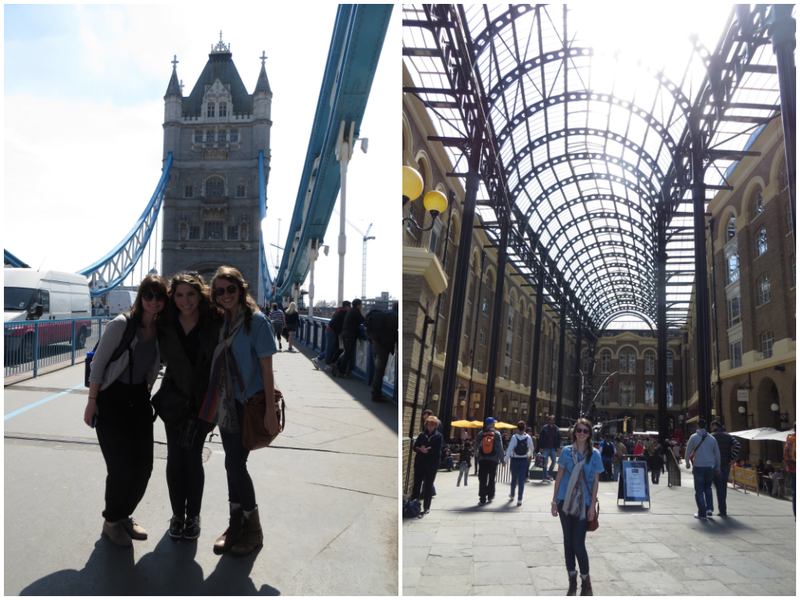 we found this old shipyard turned marked called Hay’s Galleria (on the right) that was filled with adorable shops. book shop included. megan heaven right there. saint paul’s cathedral ^^^ was absolutely gorgeous. it also happens to be where princess diana and prince charles were married. (after four hours of watching royal family documentaries back home i’m full of fun facts like that). we didn’t want to pay to actually go inside so we just went inside the cafe/shop. pretty much the same thing right? 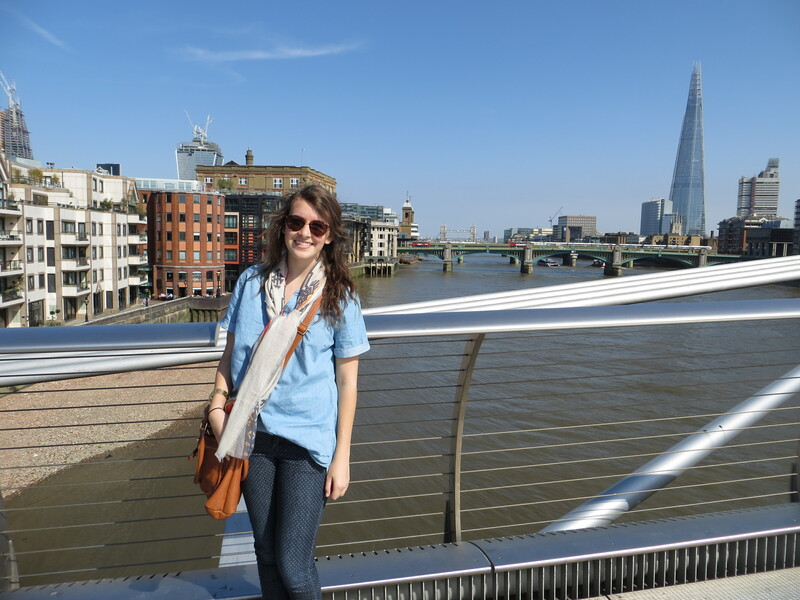 me on the millenium bridge ^^^ of harry potter and the half blood prince fame. needless to say i imagined death eaters swarming around the whole time i was on it. also, there was this guy selling hot candied nuts that are literally a dream. so good. 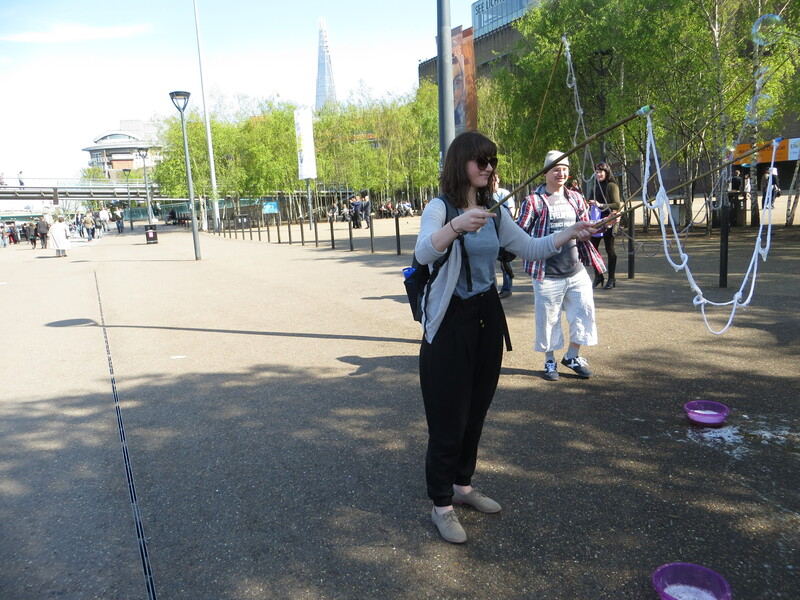 while we were walking along the south bank there were loads of street performers and whatnot. these guys let us play with their bubbles, and i felt like such a mom taking pictures and video of becca. isn’t she the cutest though? 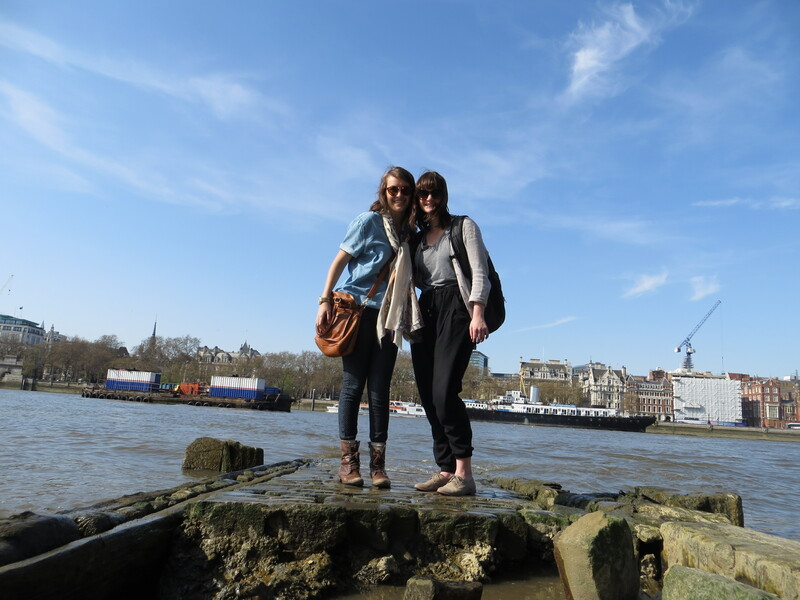 i think my favorite park of walking down south bank was that we kept discovering new places and things to do. we spent a good 15 minutes in and around this alleyway. it was just opposite artsy shops filled with mugs and knick knacks that really tempted my self control. in the same alleyway. 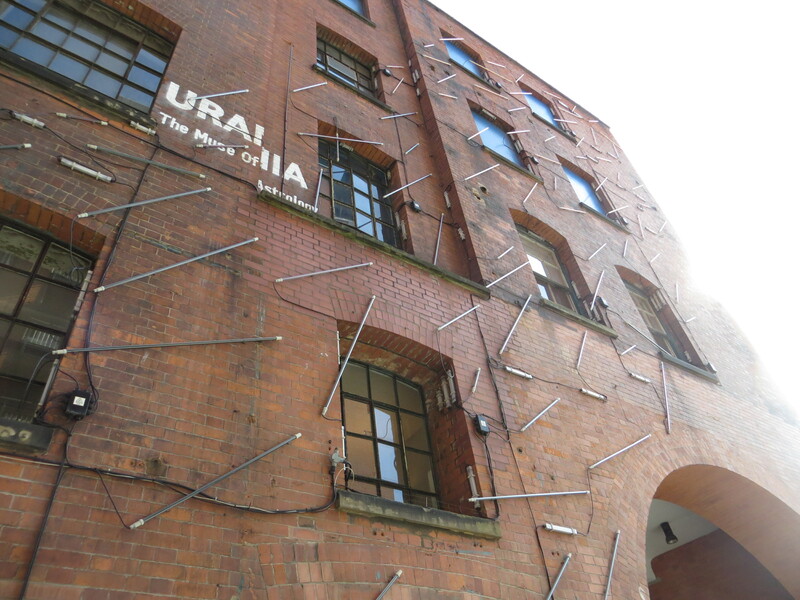 we think it probably lights up at night which would be stunning. i’ll report back if i ever see it at night. 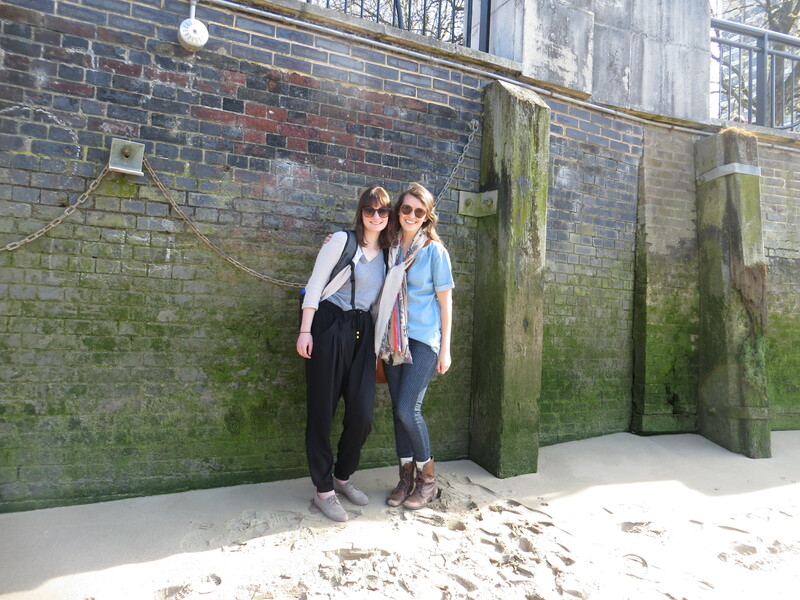 on a secret-ish little pier on the thames. this picture was taken seconds after a hug amount of water soaked all of the stones around us. miraculously we stayed completely dry. still a mystery how that happened. more shots at the “beach.” there were some people on the wall above us trying to read what we wrote in the sand, but they were really struggling. so either my handwriting is more illegible than i thought or they were foreign. also is “it’s alright” the replacement for “your welcome” here? apparently, because the girl who took our picture kept saying it. fun to hear a different phrase, but awkward because it made me feel an overpowering need to apologize? 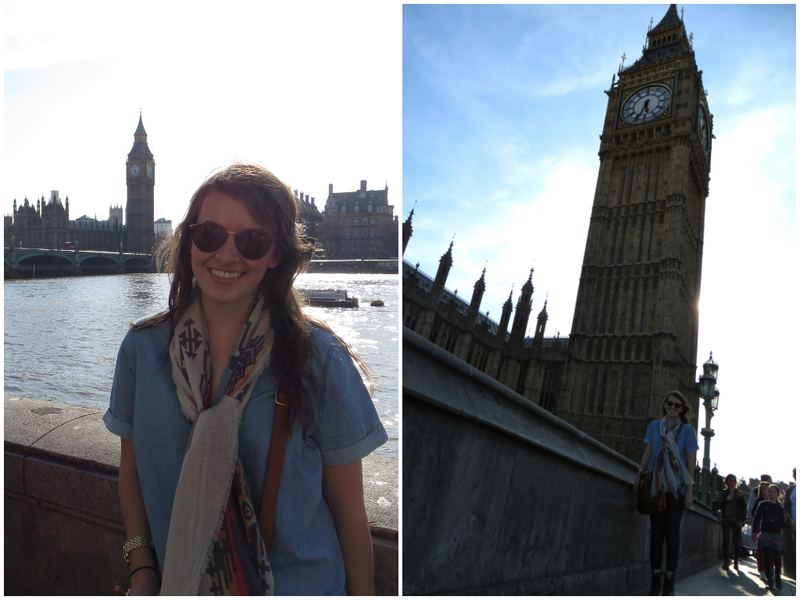 last but not least we made it to big ben and westminster abbey (just the outside). i don’t think this sight will ever cease to bring a smile to my face. this bit especially reminded me of my trip last year with the momma. so between remembering all the old experiences and having so many new ones, i couldn’t be happier. 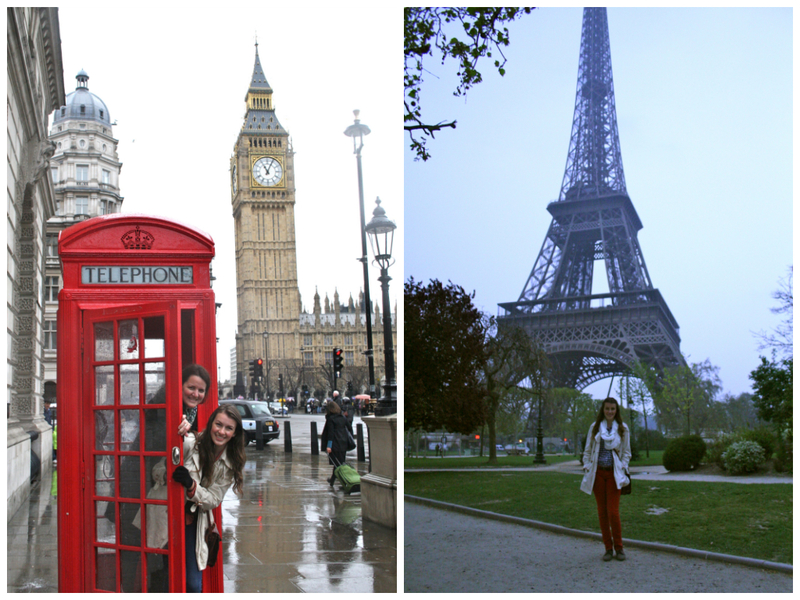 the buildings and parks here are all so beautiful and awe-inspiring, and the people are truly so kind. every person i’ve talked to has not only been polite, but friendly and happy. i’ll say it again and again but i’m in love with this place. p.s. this post is not about today, but yesterday. there were some issues with uploading (sketchy wifi at the center) so it’s coming a little late. it’s official. i’m actually in london. waking up and looking out the window to see beautiful victorian townhouses felt so surreal. it was quite an adventure to get to the centre though. we had to wait for a few girls to meet up with us in the airport so even though some of the girls landed at 11 and i landed at 11:30, we didn’t leave the airport until 1:45. then you can imagine 6 girls with massive suitcases trying to navigate the tube. adventure. it actually went pretty smoothly until we took one wrong train. one tiny mistake and we’re stuck climbing up and down flight after flight of stairs. i’m sore already and it’s only day two of my trip. after we made it off of the tube we walked for oh i don’t know about 2 miles away from the center instead of towards it. with the giant suitcases. but after lots of walking. WE MADE IT. this is us with pure joy on our faces from actually arriving. 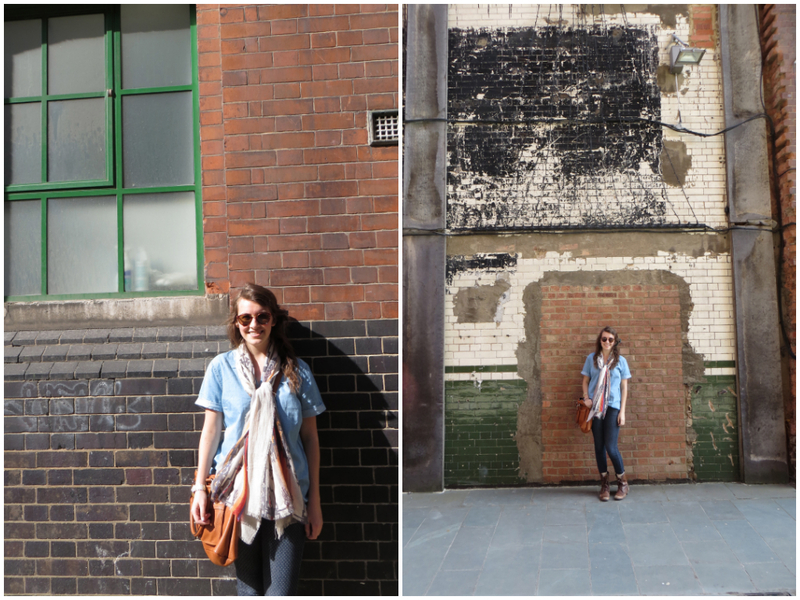 alright i’ve got to wrap up this post because i’m off to explore the city! i can’t believe this is my life.